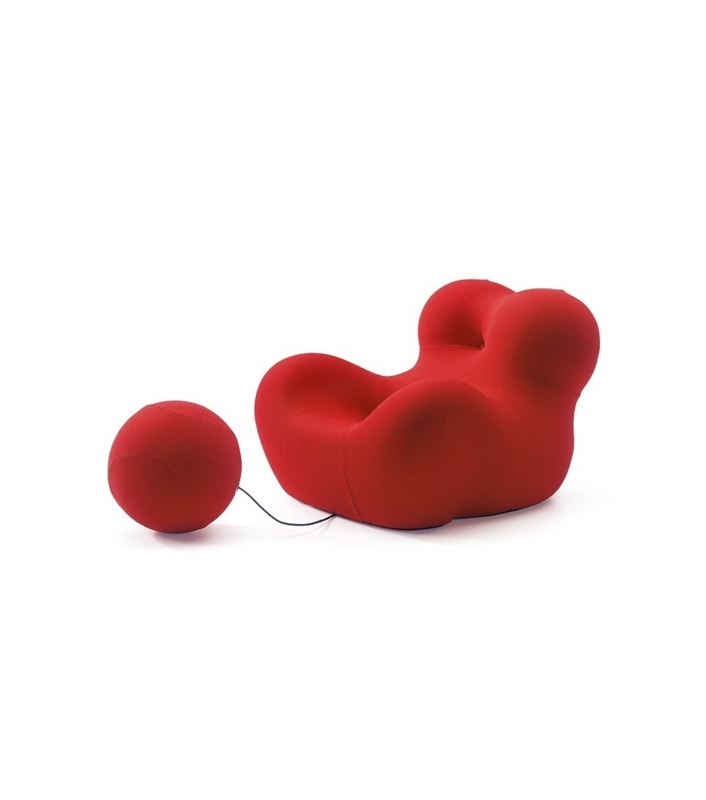 Vitra Miniature La Mamma, Pesce: La Mamma (Donna) is completely in tune with the spirit of Pop Art and the Gaetano Pasce fondness for anthropomorphic shapes. The chair was actually designed to resemble a prehistoric, female fertility figure, with a ball attached to symbolize captivity. Vitra Miniature La Mamma, Pesce: La Mamma (Donna) is completely in tune with the spirit of Pop Art and the Gaetano Pasce fondness for anthropomorphic shapes. The chair was actually designed to resemble a prehistoric, female fertility figure, with a ball attached to symbolize captivity. The unconventional nature of the shape also applies to the construction and marketing of the chair which was one of a series of six. Together they succeeded in marking a radical break from traditional upholstery production thanks to the technology developed by C & B Italia for creating oversized foam parts. Donna consists of a molded monoblock of foam withut any supporting structure since the foam rubber is dense and free-standing. First a finished piece of furniture covered with elastic nylon jersey is reduced in a vacuum chamber to about 10% of its normal volume and is then wrapped in airtight foil. The customer can easily transport the otherwise unwieldy piece single-handedly. 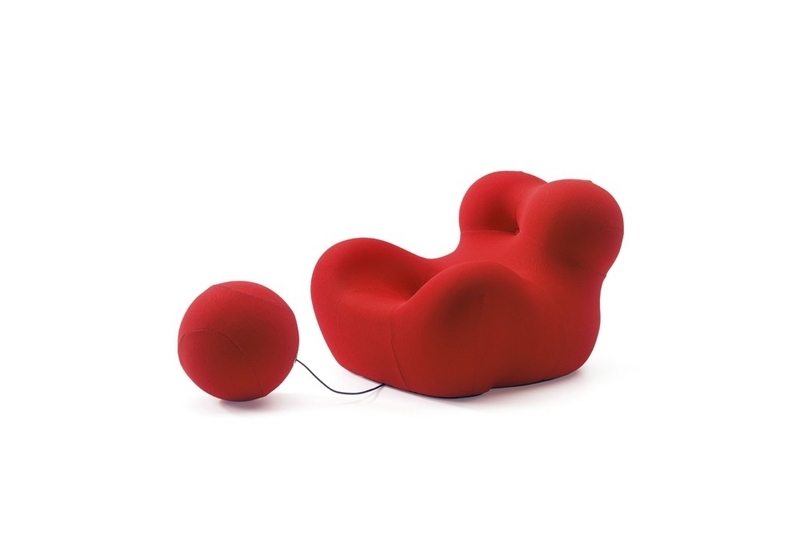 After removal of the wrapper at the destination, the chair slowly recoveres its original shape without outside help as air seeps back into the capillaries of the polyurethane foam. Polyurethane foam, nylon-jersey.